Some people are afraid to buy discount tools, thinking they are cheap, will not last, and will break at the worst time. I’m sure other people had that experience. Buy a discount tool socket set that looks nice in the case, but the socket shattered the first time you use it. That was a cheap tool. But there are other options, and some of them may surprise you. I use a lot of tools to do a variety of jobs. I’ve fixed or replaced just about every part on a car, and restored a number of cars. I own a lot of quality tools, and at times, it does not pay to skimp on tools that really matter. I used to custom paint cars and would not give up my Binks spray guns for anything. 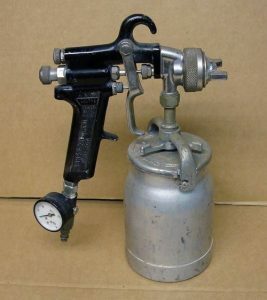 I’ve used other brands for primer guns, but they were also top quality like Devilbiss. On the other hand, I did buy a cheap $15 touch up, or jam gun that was as good as my Binks Model 115 touch up gun. Then there is always painting under the car, like the frame where a cheaper spray gun would be fine. But to paint a custom car, would you spray a hood with nothing less than a top quality spray gun? Then there are hand tools like sockets, wrenches, and other associated tools. I’ve been rather lucky with some off brands. One of my favorite places to shop is Harbor Freight. More on them later. Although the Craftsman tool set I purchased 30 years ago is a fairly complete set of hand tools, it doesn’t include everything you need when you work on cars like I do. For one thing, it came with no impact sockets. For those I tried out a set of impact sockets form Harbor Freight. I’ve had them for about 20 years, and they are still going. I never had a problem with any of them, and at that low price, I consider it one of the best investments I’ve made. Years later pneumatic impact wrenches have gotten a lot more powerful. 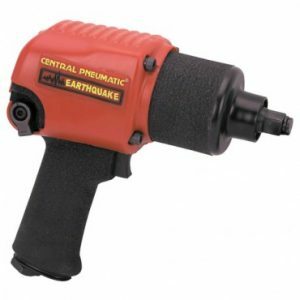 I bought a 500 ft/lb Earthquake impact wrench from Harbor freight. I’ve tested it against some leading brands, and it holds its own. Those impact sockets from Harbor Freight had not reached their limit with that impact wrench, or the extra long breaker bar I bought from Harbor Freight. Did I mention, hand tools from Harbor Freight come with a life time warranty? I’ve only had to use that once with a Phillips screwdriver that met its match on an old, 1961 car that has seen better days. Just take the tool in for a replacement. No questions asked. The same is true with Sears and their Craftsman tools. I know a lot of people like to stick to their Snap-on tools. They spend a ton of money for their tools because they depend on them for a living. They have Snap-on everything. The thing about Snap[-on is, when there is a need to a new tool, Snap-on is typically the first one to come out with it. They also have sales people who come to your door, sell out of their truck, and keep you up to date on the new tools. I want to keep this article rather short, so I will concentrate on hand tools here, and branch out on other types of tools on other articles. I can’t stress the quality of tools enough, and there are a number of companies offering good tools at a fair price. Stanley used to be another dependable name. We already covered sockets, and wrenches. I have not tried the Harbor Freight 12 point sockets, but their 6 point impact sockets are a good buy and have lasted me years. 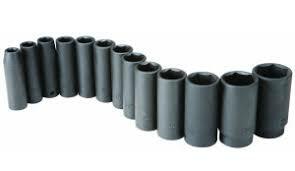 I own 6 point impact sockets in a number of sets. ½ inch drive deep sockets in inch and metric. 3/8 inch drive standard depth inch sockets. I plan on picking up a few other sets from Harbor Freight when they go on sale. I prefer my Craftsman wrenches. I have a set of combination and box wrenches that have went through a lot without a single failure. I also have a set of Craftsman combination wrenches in metric. My socket sets from Craftsman are 12 point standard length inch and metric. Also inch and metric 6 point deep sockets with standard walls. Out of all those sockets, I’ve only had one failure. I mostly use Craftsman socket wrenches. I wore out a few 3/8 inch drive sockets. Either the little ball that holds the sockets in place wears out, or the teeth inside the wrench wear. No problem, just take them back for a replacement. I’ve found out it is a good idea to oil the top and bottom of the wrench head every once in a while. Especially the little ball that holds the sockets in place. Just put on a little drop of oil, let it soak in for a minute, and wipe off the excess. There are also ratcheting wrenches. I own an old set of Craftsman socketing wrenches. They come in handy when you need them, but that is not too often. 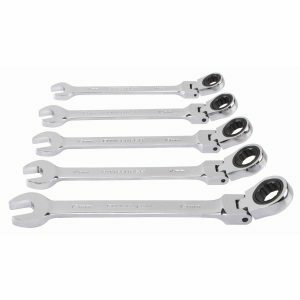 Now stores offer offset and swivel head ratcheting head wrenches. I am looking for a set that has one size on one side, and the next size on the other side. That way you get more sizes. And why buy a ratcheting wrench set with an open end on one side and the ratcheting 12 point on the other side? Locking pliers are another hand tool everyone will eventually need. I prefer the original Vice-Grip brand for short jaws, and will go to a cheaper brand when it comes to other, long reach, or clamping pliers. You will eventually round the corners on a bolt or nut, you will need a good Vice-Grip pliers to save the day. That is when you need a strong, well built pliers to do the job. 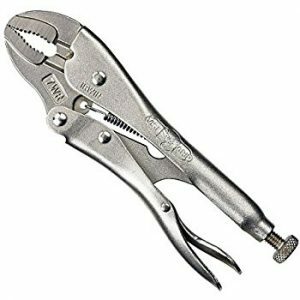 I’ve compared Vice-Grip pliers to others and found the Vice-Grip pliers have larger rivets, and are typically less sloppy. I have never had problems with Vice-Grip pliers, but the cheaper brands I use for clamping can be a little wobbly, and less secure. I use different clamping pliers to clamp sheet metal and wood. Cheaper brands are good when you don’t need a lot of clamping pressure, but can twist more than a Vice-Grip clamp if you really need to bear down. Specialty tools are available from all kinds of sources. These days we have the Internet, and some guy out there made a video on just about everything concerning cars and trucks. You can find answers on the Internet for just about every car problem, and videos that show you how to fix pert near everything. And these days, a lot of those repairs require a specialty tool or two. When that situation comes up, I ask around to see if anyone has bought the specialty tool. If they did, I borrow it. Guys know how to network, and share. Or at least they should. Otherwise I search the Internet or Amazon to see who has the best deal. By the best deal I mean, a quality tool at the best price. I just happened to run across an add-on for my Chromium browser called Honey. I thought it was a joke, spam, or some kind of scam. Honey developed a system that is supposed to search the site you are on like Amazon, Walmart, and other sites like that to find the best deal. I’m not sure Honey works. It keeps telling me the products I have on my lists in Amazon are the best price. I’ll have to test it some more and write another article on it. I figure Honey is in the collect and sell information business. They collect your shopping habits so search engines can put ads focusing on what you are shopping for. I’m not sure Honey goes much deeper than that, but you never know. I hope they don’t collect passwords and such. I bank on line. I have a collection of old tools like a special grip screwdriver for those little distributor screw that hold points in. And other old tools this younger generation has not seen. Those make for an interesting conversation on some days when you are talking tools. I did buy a few cheaper sets of screwdrivers . Once again, I prefer my Craftsman tools. But Harbor Freight does have some tempting buys. I bought an older set with black handles and magnetic tips screwdrivers I keep in the basement. That saves a lot of running out to the garage for a tool. The black handle set is made to look like Snap-on screwdrivers, but are not as good. The set from Harbor Freight is good for around the house, and car work. They were a little more expensive, but worth the money. The less expensive Harbor Freight screwdriver set has red handles, is under $10, and has good tips. Like I mentioned earlier, I broke a Phillips tip, and Harbor Freight replaced it free. 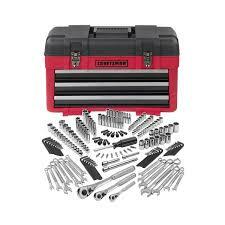 The thing is, we need a good set of tools for the garage, but should consider discount tools that cost less for inside the house, or in the trunk of the car. Or to loan the discount tools to the neighbor who is always over borrowing things. I’ll update this later on a few other hand tools. When you shop Harbor Freight, look at the on line ads. Check the sales, and look for that 20% and 25% OFF coupon they put out from time to time. You’ll need it. Wait for the extra tools you need to go on sale. I will be adding articles on electric power tools and pneumatic tools I bought and used. As usual, I have to mention, Sears, Craftsman, Binks, Harbor Freight, Earthquake, Snap-on, Honey, Amazon, Vice-Grip, and all the other names I mentioned here are Registered Trade names. If anyone considers the use of their name or pictures an infringement of their copy rights, contact me through the DCMA Notice page, and I will remove them. My first set of hand tools was a Craftsman set from Sears. They were good quality tools. I’ve owned them over 30 years. My dad owned Craftsmen tools. My brothers bought Craftsman tools from Sears. They are all still reliable. 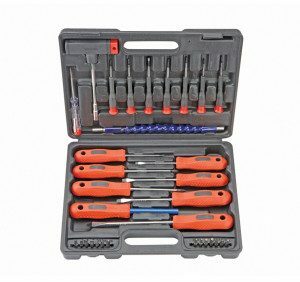 All together, we have not had to return more than a half dozen tools on their life time warranty. That is pretty good.